What has held you back from journaling? 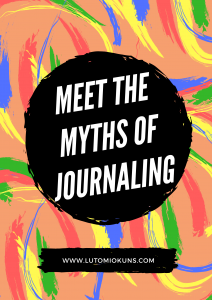 In this blog post, I’m sharing 5 common myths and the real thing about journaling. 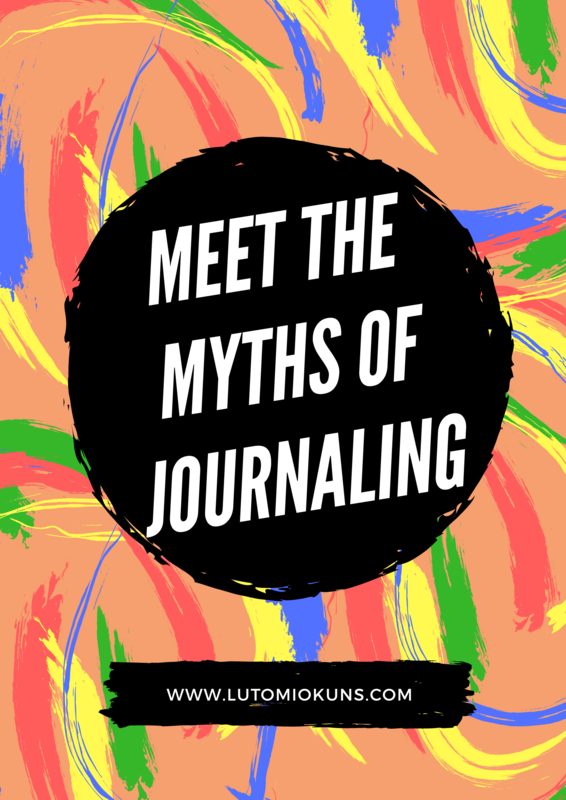 One of the myths of your journaling is that it is something girls do and has to take a dear diary format. Journaling is for everyone; anyone can keep journal. And it doesn’t have to start with “Dear diary” format. Personally, I begin entries with dates and heading, thereby making it easy for me to locate entries. Another myth is that it is for jobless people. This is so untrue; there is a level of self-awareness that comes with journaling. 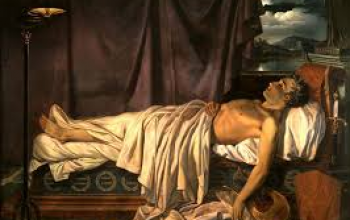 And is actually evidence that one who is in touch with himself. In fact, a host of thought leaders, world leaders all have journals and treasure them. Apostle Paul is a classic example. You do not have to be a writer to keep a journal; all you need to do is to write. A lot of people have hesitated all because they feel they don’t have the skill. The basic skill needed to keep a journal is to write. All it entails is to put your thoughts down into the book. No biggie! Guess what? As you begin to write, your writing skill becomes developed and who knows? You could be the next Shakespeare. 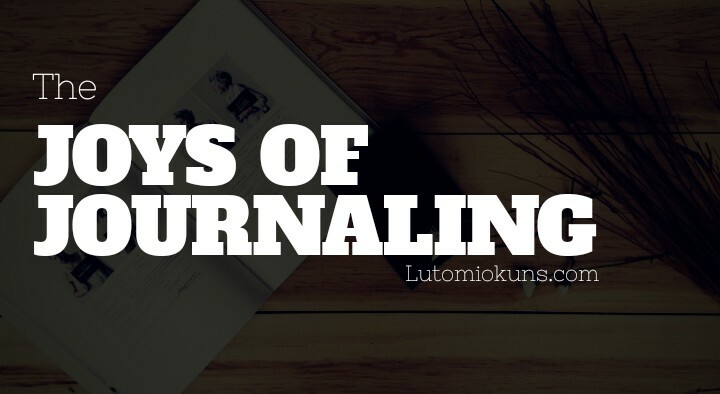 Unlike brushing your teeth, journaling doesn’t have to be at least daily. You can decide to make it daily, weekly, bi-weekly, every other day, morning and night. The point here is to fix a convenient time for you. And be spontaneous about writing and not necessarily rigid especially when you feel a flow of words. That’s not true. Trust me you have so much to write about. Don’t sit waiting for something profound before you write. For a start, you can decide to write what you are thinking about, how your day went, dreams, aspirations, prayer, meditations, people in your life and what you admire about them. There is also your childhood you may decide to reflect upon, your growth processes, your passions etc. (I will definitely do a post on things to journal about). In the meantime, there is so much you can write about. 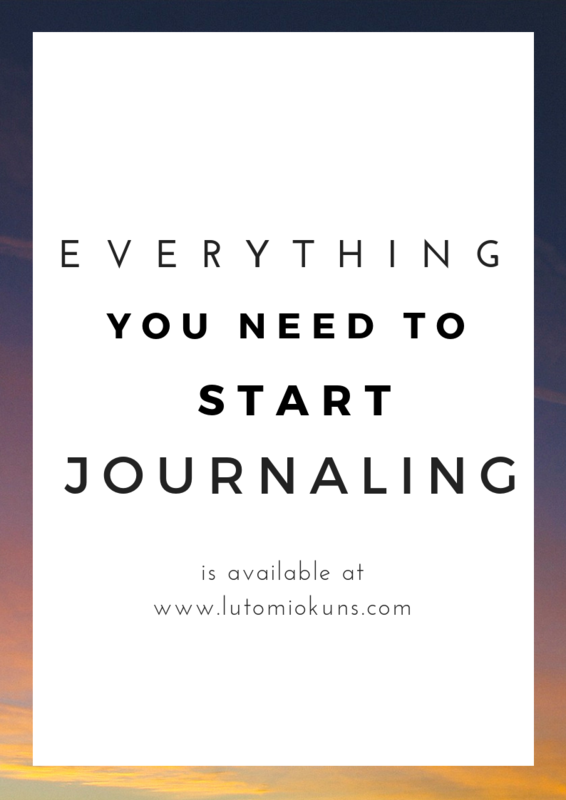 That is all for now, see you tomorrow with How to get started on Journaling. I shared My greatest discovery about journaling , there is some really cool wisdom there! wow! Thanks for sharing these ma.